Dar es Salaam — For boxing fans, the Diamond Jubilee Hall is a place to go today as it hosts a fight featuring UBO champion Mbwana Matumla and Francis Miyeyusho. 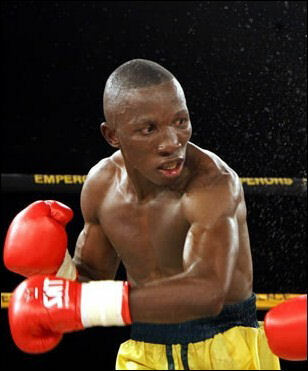 Matumla, fondly referred to as "Golden Boy," snatched the UBO bantamweight Intercontinental title on May 1 at the PTA Hall at the expense of Kenya's Gabriel Ochieng. Today's bout has been organised by Mohamed Bawazir and sanctioned by Pugilist Syndicate of Tanzania (PST). Bawazir said yesterday that both Matumla and Miyeyusho were in great shape, each looking forward to winning the fight. "Boxing fans should expect an exciting fight tomorrow. The Diamond Jubilee Hall will be the centre of a real battle because both pugilists are in great shape," said Bawazir. He asked the Dar es Salaam boxing enthusiasts to turn up at the venue in large numbers, saying preparations and logistics for the fight were in place. Outside the ring, Miyeyusho has done all the talking, promising to silence Matumla in what promises to be an intriguing bout. "I have all the techniques to stop him in the fourth round. He will be a lucky man if he turns up for round five," Miyeyusho said yesterday. Whether he can walk the talk remains a big question as Matumla, one of the most feared bantamweight boxers in the country, has also vowed to finish off the job inside four rounds. And he has psychological advantage of Miyeyusho, having beaten him twice in the past seven years. In 2004, Matumla posted a technical knockout win over Miyeyusho at the Diamond Jubilee Hall. Five years later, Miyeyusho lost again to Matumla, this time on points in their International Circuit Boxing (ICB) bantamweight bout at the same venue. Matumla won 119-116, 118-115 and 119-116. He will also head into today's fight oozing with confidence after his unanimous point win against Ochieng.